Big news! 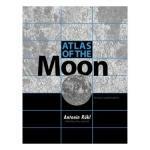 The revised Rükl "Atlas Of The Moon" is out at last. It's the standard reference for most lunar observers, and having it out of print for so long was an exquisite form of torture. The long international nightmare is over. If you are into the Moon and don't have one, grab 'em while they got 'em. I start this column each month by checking "The Sky Month By Month" in the Royal Astronomical Society of Canada's "Observer's Handbook.' SJAA normally sells 20 or so of these each year at a very good price. By the time this sees print, they will have long been sold out. The monthly section has a "what's up" on the Moon, notes on the visible planets, and just about anything else remarkable. But what is all that gobbledegook about the Moon? Does it mean anything? How can you use it? January's starts with "On Jan. 1.0 UT, the age of the moon is 19.9 d." Okay, they use universal time and decimal days, so you have to correct for that if you need local precision. But basically you get the idea: at the beginning of the month the Moon will be about 20 days old - well past full and a bit over a week from new. "The sun's selenographic colongitude is 154.23 degrees and increases by 12.2 degrees each day thereafter." Let's go back to front on this one. Every single month, in that charming cryptobritish way, the increase of 12.2 degrees statement appears. That's because it's always true. In fact, it was true for the preceding days too. But if you're going to call something "Royal" you have to talk like that. Besides, it's cute. "Selenographic colongitude" is longhand for 'location of the sunrise terminator.' To make matters worse, it's measured from the central meridian westward from 0 to 360 degrees, while map coordinates are typically given values east and west of the central meridian. So a colongitude of 60 degrees is at "60 degrees west" on the map but a colongitude of 300 degrees is at "60 degrees east" on the map. Plus, the example this month is even a hair trickier. If you start at the central meridian and travel west 154.23 degrees, you're on the far side of the Moon! What use is that? Well, the sunset terminator will generally be 180 degrees (plus a hair) from the sunrise terminator. 154 + 180 is 334 degrees. Subtract that from 360 and you get a sunset terminator at 24 degrees east - fairly typical for a Moon that's roughly two days from 3rd Quarter (nicely matching with 2 x 12.2 as we saw above). Interesting? No? Rats. "The libration in longitude is maximum (east limb exposed) on Jan. 16 (+8 degrees) ..." In human-readable form, that's "the Crisium side will be tilted toward us eight degrees from center." It's also cause to sing a phrase of a Beach Boy's song: "I'm pickin' up Good Librations..." since eight degrees is a lot. But that alone isn't interesting. The question is, where's the terminator? A glance at the opposite page ("January Events") tells me First Quarter is the 17th, so it's one day shy. Which means the sun will be almost directly overhead the libration zone. What really gets me going is a strong libration when the terminator will be on the limb (which is to say, near full). But this is second best, and means contrast between maria and highlands will be very good. A great night to see the Eastern Maria. Make a note, move on. "...and minimum (west limb exposed) on Jan. 4" As luck would have it an almost identical event on the other side, again with high sun. Check it out! It will be best an hour or so before dawn. There are also greatest North and South librations, but let's move along. You get the idea. Note, though, it's particularly interesting when a strong North or South libration adds to an East or West libration (they happen on about the same day). "The Moon reaches its greatest northern declination on Jan. 22 (+28) ..." Human readable: the Moon will be highest in the sky J22. That's just a few days before full, but it's actually great news. That means most of the stuff after 1st Quarter (and especially Mare Humorum and other great rille sites) will be Way Up with a good chance of steady seeing. It means the best Mooning season is opening right now! "On Jan. 10, the Moon reaches its closest perigee distance of the year (356 570 km). With a new Moon occurring on the same day, extra-large tides will occur." Consider this a warning that 'weird internet chatter' will increase, particularly among the superstitious.